Male wood duck protecting the nest (from a nearby zoo worker wading around the pond) taken in the Rosamond Gifford Zoo in Syracuse, NY. I used a Nikon SB-600 flash at +3 and was rewarded with being able to see the female in the nesting box. 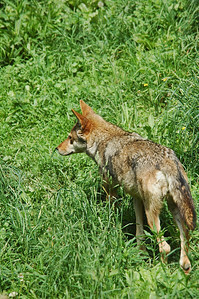 I finally got a picture of the one of the zoo’s Red Wolves. The viewing area for them is above the wolf’s enclosure which has a lot of trees and brush for them to hide under. 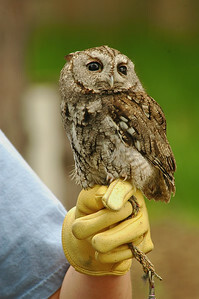 The Eastern Screech Owl was out being shown by one of the zoo’s handlers for the bird show. Another first was getting a nice portrait of the Northern River Otter who is usually curled up sleeping on me. This time he was kind enough to pose. 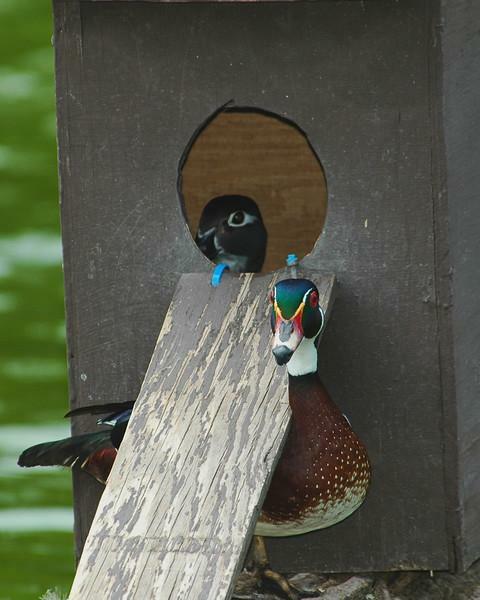 This entry was posted in Animals, Weekly View and tagged bird, duck, nest, Photography, syracuse, waterfowl, zoo. Bookmark the permalink. 4 Responses to View 23: On Guard! Lovely photos. I like the capture of the wood ducks. What a chivalrous male! 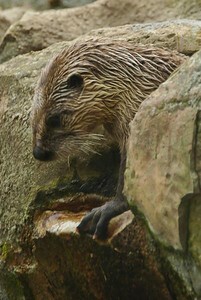 Excellent river otter photo. They’re one of my favorite animals. I’m writing a children’s book about one. Are you happy with your Nikon SB-600 flash? I’m in the market for one. I am happy with the SB-600 BUT I wish I had spent the money for the SB-800. While there is not much difference between the two, the SB-800 is closer in power to an older SB unit I used for years so I miss that extra range. Yes, I thought the male was so brave and a nice way to put the pair together even when she was in the next box. Love your photos, esp the wood duck. What fun! I’m always challenged at the zoo, getting around the bars, fences, glare of glass. Zoo photography can be a challenge, Heidi. There are some animals and birds that I pass on if the enclosure is too obstructive. Sometimes you can focus out the obstruction if it’s a fine netting by using a large aperture.